We are excited to be a part of Winston Salem’s Cobblestone Farmer’s Market again for 2017. The dates of the outdoor Farmers Market in Old Salem are April 8 – November 18. Sophisticated Florals brings fresh cut, chemical-free flowers. From start to finish, we do not spray toxic chemicals or fertilizers typically used in the traditional floral trade on our flowers. 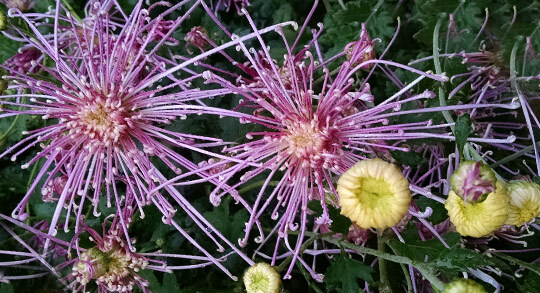 While we are not organic-certified, we do follow organic guidelines and use OMRI approved products to achieve a healthy threshold of pests and beneficial organisms for our flowers’ growth. 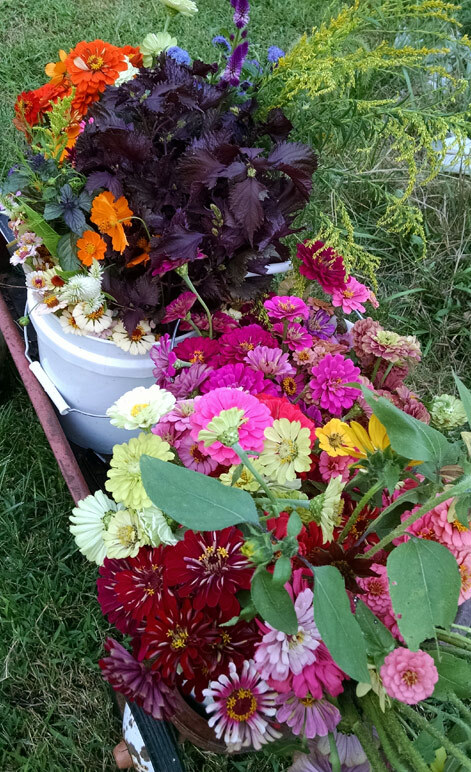 We are offering our Flower CSA (Community Supported Agriculture) from May 27, 2017 – October 7, 2017. 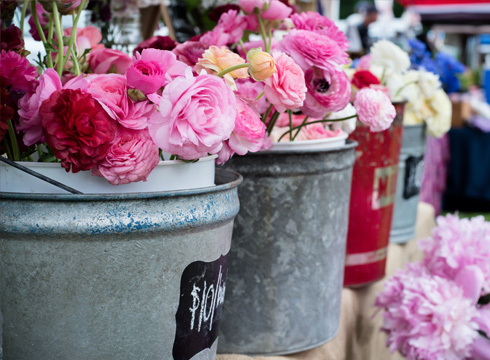 Flower shares can be picked up from 9:00 am-12:00 pm at the Cobblestone Market in Old Salem on Saturday mornings. If you are interested in signing up you can either email or call us to be placed on our CSA list. Full share customers will receive 20 weeks of bouquets that will transition with the season. The 2017 price for our full share Flower CSA will be $300. Half share customers will receive 10 weeks of bouquets and they will be available every other week. The 2017 price for our half share Flower CSA will be $150. If you will be out of town or missing a market week for any reason, prior arrangements must be made otherwise that week’s flower share will be forfeited. *must live within a 10 mile radius from Old Salem. We also offer wholesale buckets of flowers if you are needing larger quantities of cut flowers or greenery. These are great for DIY projects you may be planning! Price is dependent on how much you need as well as varieties available at time of pickup. If you are a local florist and would like to have some of our product for an upcoming event please contact us to see what we will have available for your event date. We also allow customers to come pick their own flowers from the garden, by appointment. This year we are teaming up with Farm Girl Arts at Cobblestone Market to provide cut flowers that are appropriate for arts projects. Laura Frazier will be using them to dye her wool, create living wool pieces, wearable jewelry, and more. Be sure to make a trip or two out to the Farmer’s Market during the market season to learn more about this partnership. Feel free to call or email us to find out what our offerings will be from week to week!